The installed capacity of wind and solar power grew faster than that of any other power technology, according to a recent analysis of the global power plant market released by Greenpeace International. In addition, renewable energy reached its biggest market share in 2010, providing enough capacity to supply electricity to the equivalent of one-third of Europe, according to the report. The Greenpeace report also highlights how renewable energy plants accounted for more than a quarter (26%) of all new power plants added to the worldwide electricity grid over the past decade, compared to nuclear power stations, which represented 2% of new installations in the same period. "With renewable energy now the world's fastest-growing source of power plant installations, governments can make a simple, clear choice," says Sven Teske, Greenpeace International's senior renewable energy expert. "They can commit to a future shackled to dirty and dangerous fossil fuels, or they can kick-start an energy revolution by implementing renewable energy laws across the globe and leading investment in a renewable energy future that will not only boost global economic development and create green jobs, but also play a key role in mitigating climate change." Since 2000, wind power has gained a growing market share within the global power market. The report shows that while the global wind industry added approximately 35,000 MW of capacity in 2010 alone, it took the global nuclear industry from 2000 to 2010 to achieve this. During the same period, new coal installations went into decline in every country except China, where almost 80% of the world's new coal plants went into operation in the last decade. However, not only has China phased out some of its dirtiest coal plants over the last five years, but it has also increased its domestic wind market, doubling capacity every year since 2003. About 28% of all new power plants have been renewables, and 60% have been gas power plants (88% in total). Electricity market liberalization also has a great influence on the chosen power plant technology. While the power sectors in the U.S. and Europe have moved toward deregulated markets - which favor mainly gas power plants - China added a large amount of coal until 2009, with the first signs for a change in favor of renewables in 2009 and 2010. The liberalization of the power sector in the U.S. started with the Energy Policy Act of 1992 and became a game-changer for the entire power sector. While the U.S. is still far away from a fully liberalized electricity market, the country's chosen power plant technology is changing from coal and nuclear toward gas and wind. New coal and nuclear power plants made up 10% of installations in the U.S. and Europe between 2000 and 2010, with the dominant new power plant technology being gas. "Governments need to ensure this trend continues by championing the transition toward a 100 percent renewable energy supply," says Teske. "In particular, North America and Europe need to take the lead on a faster deployment of new renewables - while retiring old coal power stations - if we are to achieve the reductions in emissions that are urgently required to save our climate." 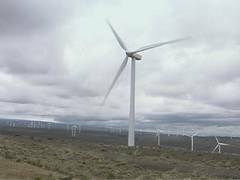 Since 2005, the growing number of wind projects that have made up an increasing share of the new installed capacities is due mainly to state-based renewable energy support programs. The growing share of renewables - especially wind and solar photovoltaic - in the U.S. and Europe is largely due to legally binding targets for renewable energy policies, such as feed-in-tariff (FIT) programs. Overall, new installations of power plant capacity in Europe in 2010 jumped to a record high due to the repowering needs of the aging power plant fleet, according to the report. Renewable power generation policies currently exist in at least 83 countries. Of these, the FIT is most prevalent. In 2010, at least 50 countries and 25 states/provinces had FITs, and more than half of these were five years old. Support for FITs continues to grow and is increasingly being adopted at a state and provincial level, according to the report. Globally, renewable portfolio standards (RPS) are currently supported by 10 national governments and 46 state/provincial governments. Most RPS policies require renewable power shares to meet 5% to 20%, with many targets extending beyond 2020. Policies are often adopted in combination with direct capital investment subsidies, grants or rebates offered in at least 45 countries. Other tax incentives, such as investment tax credits and import duty reductions, are also popular, according to the report.